Happy Labor Day! Looking to get the most out of the last few days of summer? Fortunately, there are numerous ways to have fun without sacrificing your financial security. We’ve compiled a short and sweet list of 4 fun summer activities that won’t bust your budget. Have fun out there! Small towns and large cities alike often organize free or low-cost community events that get locals out of the house and interested in a particular subject. For instance, summer concert series have become increasingly popular over the last few years. Citizens congregate in a large open green space to watch performers dazzle them with their tunes. Other opportunities could include parades, festivals, fun run/walks and Ultimate Frisbee tournaments. Your local Chamber of Commerce might post information about these events, or you can check out social media to learn about them. Even if there aren’t any in your specific town, you can probably find them within an hour’s drive of your home. Just remember to keep your family safe during your summer fun. Maybe you’re tired of the same old streets, shops, restaurants and entertainment venues, but you can’t afford five days in Cancun. Don’t fret. Instead, plan a day trip to a nearby city, town, state park or other destination. You won’t have to spring for a hotel room, so your only costs will be gasoline and food. Pack your own sandwiches and snacks to cut down on mealtime expenses, and consider choosing only free events or venues when you arrive. Spend between seven and ten hours at your destination, then turn around and drive home. It’s a great way to introduce yourself and the rest of your family to different types of culture. Save money and hop to it. Craft supplies don’t have to break your budget, especially if you shop liberally at the dollar store. A small tub of sidewalk chalk, for instance, can keep the kids busy for hours. 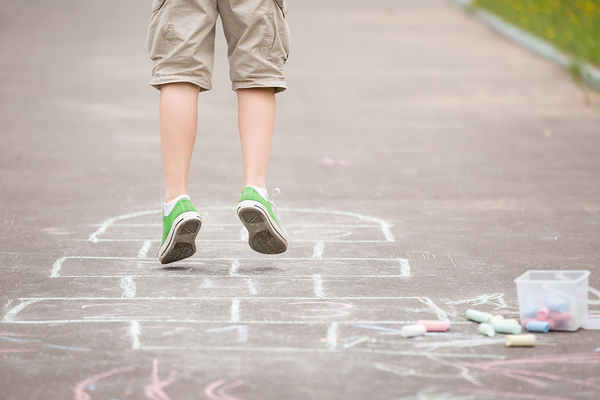 They might want to make a hopscotch board, draw their favorite characters, write messages to their friends or create a map to hidden treasure. A craft also comes in handy during those rainy summer days. You might write letters to family members who live in distant cities and include custom paper crafts. Alternatively, collect magazines from around the house and make inspiration collages for toys, home decor or any other subject you can think of. In many cities, museums, art galleries and other cultural destinations give residents a break with free admission days. You get to experience the exhibits and entertainment without having to pay the high retail price. Zoos, state and national parks, arboretums, botanic gardens and other venues might offer similar specials. If you can’t get free admission, find ways to make the trip as inexpensive as possible. For instance, some venues may offer discounts if you buy tickets online. As a bonus, you won’t have to wait in line when you arrive; go straight to the entrance gates and start enjoying your visit. Summer fun doesn’t have to mean summer debt, especially if you use a prepaid debit card. Start budgeting, and put money toward summer fun on a prepaid Visa® card so you know how much you can spend on entertainment. You won’t go over budget, but you’ll still feel like you enjoyed your summer. View Green Dot’s simple fees here, and get a Green Dot Visa Prepaid Debit Card today.